If you haven’t heard yet, the next Super Smash Bros game is coming out this December and man I can’t wait for it. The level of fanservice and love that Nintendo has put into this iteration of Smash is staggering. Bringing back every single character from every game no matter their form or function was so awesome. I just can’t wait to play Wolf and Snake again and I wonder what changes there’ll be to Young Link and Pichu since they’re not classified as “echo fighters.” Maybe both Young Link and Pichu will harken back to the movesets that Link and Pikachu had in their melee days just like how Dr. Mario was basically Mario from melee with a few stat tweaks. Finally, Inkling and Ridley look like awesome additions to the Smash cast. I love how Nintendo was able to capture Ridley’s viciousness in game without bumping up the game’s rating to mature. Inkling looks really interesting to play as well since you’ll have to balance your offensive moves with how much ink you have as well. Both look super fun to play, but if I’m honest, I want to play Ridley the most because I love how how he moves. 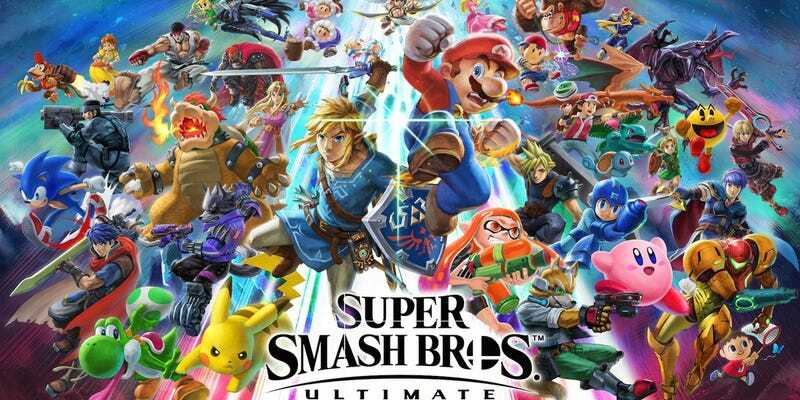 In any case, what’re your thoughts on Smash Ultimate? Love it? Hate it? Sick of people writing articles/making videos about it?